Scanning the foreclosure listings to snap up your dream home on the cheap? It’s tempting indeed to take the bottom-fisher route, especially when bank-owned deals are so plentiful and annual housing prices in 20 major cities combined declined 3.8 percent in January, according to the closely watched S&P/Case-Shiller U.S. National Home Price Index released Tuesday. But veteran real estate agents offer up some sound advice for would-be buyers homing in on bank-owned properties, short-sale deals, and foreclosures. Here’s how to keep the frustration level low when shopping for your bargain-basement dream home. 1. Get your terms straight. “Foreclosures” is a loose term that buyers bandy about when telling their real estate agent to seek them out. In most cases, homebuyers aren’t really looking for foreclosures in the technical sense. Nonetheless, when clients ask to be shown foreclosures, most real estate agents know they are likely asking to see bank-owned properties. Chris Dasaro, a Coldwell Banker real estate agent in the Grosse Pointe Woods, Mich., office that also serves the Detroit market, estimates that upward of 80 percent of his clients want to be shown bank-owned properties. 2. Don’t get too excited about lowball listings. In the greater Detroit area, where January housing prices were actually up 1.7 percent over last year, according to Case-Shiller, Dasaro has seen a couple of instances in which bank-owned properties were listed as much as 50 percent below the market rate. That, of course, generates a feeding frenzy where bidders in some cases end up paying above the market rate for a particular house. Dasaro estimates that he encounters lowball situations like these in about 5 percent to 10 percent of the houses he sees, and notes that buyers would be wise not to get overly excited with anticipation that they could snap up the house at that listed price. The lowballing is not a sales technique, but rather the likely result of the banks relying on broker price opinions rather than appraisals for the properties, says Roberts. She notes that she has also seen situations in which the banks have overpriced properties by a large margin, but often in those cases potential buyers are not disappointed if they don’t get the house. 3. Prepare for big differences in bank-owned property sales. o. Far fewer disclosures from the seller regarding the condition of the property, because the banks rarely, if ever, visit the property they are selling, say real estate agents. o. Being pressured to buy “as is.” Mary Ann Griffin, an associate Realtor with RE/MAX in Atlanta, says buyers should always make a contract contingent upon the buyer’s home inspection, even if the contract notes that the sale will be done in “as is” condition. Griffin notes that securing a VA or FHA loan requires banks or other sellers to make appraiser-recommended repairs. o. “Gotcha” addenda in the contract. Roberts notes that banks will often include an addendum to the contract that may contradict something called for in the beginning of the document. Other addendum provisions may include clauses such as a $100-per-day penalty fee for every day the buyer is late in closing the deal or fulfilling a contingency. 4. Know what you’re in for in short-sale situations. Bargain hunters are also keen to take a gander at homes listed as a short-sale. But venturing down this path can often lead to long delays in home ownership, and can sometimes fail in the end. Under a short sale, the owner puts together a hardship packet that’s sent to the bank and will sometimes include a sales contract with a prospective buyer, Roberts says. But it can take as long as six months before a bank responds as to whether they will accept the seller’s plans for a short sale. Roberts knows of one particular case in which an investor bid on a Berkeley, Calif., foreclosure on the courthouse steps. Although this investor lost the bid, he was curious nonetheless about the house that sold for $365,000 at auction. In making an inquiry, Roberts learned that the same house was in the final stages of approval for a short-sale for $425,000. Not only was it a case of the left hand not knowing what the right hand was up to at the bank that was overseeing the transactions, but it ended up costing four months of time for the prospective short-sale buyer, Roberts says. Another tactic short-sellers use is the illusion of a tight deadline. Recently, Roberts has seen a couple of short-sale auctions in which the listing price is set extremely low but the bids end up closer to the market rate — but surprisingly, the window of opportunity doesn’t close after the auction is over. The short-sale real estate agent continues to accept offers on the house for several more days in order to land the absolute highest price. o. Try to avoid “potential short sales” and seek out “approved short sales” instead. 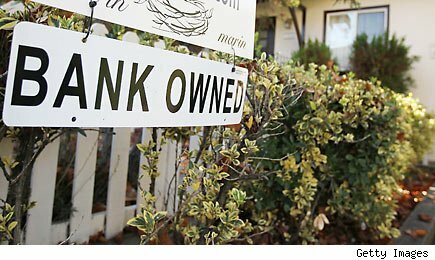 In some cases, banks will approve a homeowner conducting a short sale, even if no prospective buyers are listed. o. Work with an experienced agent who has a track record with short sales. o. Document all correspondence (for example, by using email).